← Hello, my name is Sarah…. I love food. I love to eat. I suppose that’s how I ended up 40 pounds overweight, that and no exercise. So, I’ve been on my not-diet-but-lifestyle-change for over a year now. I can’t believe it! I’m doing really well. I’m learning to appreciate food more. I don’t allow myself to eat my favorite foods very often so when I do eat them, I really enjoy it! A lot of people say to me, you run, you can eat whatever you want. I think that sometimes, but it’s really not true. Maybe on the days where I burn as many calories as I take in, but that doesn’t happen very often. I still eat a lot of the same foods, I just changed the way I make them. I eat smaller portions and stop when I’m full. I think I finally got over eating like every meal was my last one. I haven’t posted anything about food yet, but I found 2 new items that I wanted to share. I LOVE mexican food, more specifically, flour tortillas. I have learned to love corn but it’s not the same. 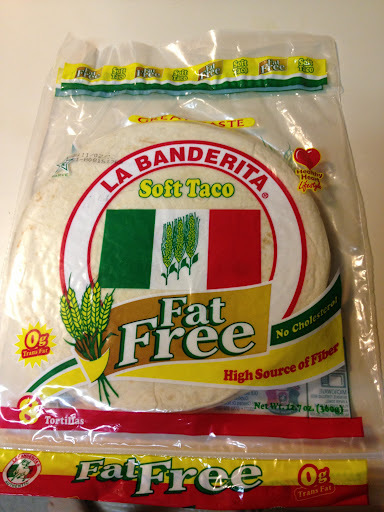 So, when I found these FAT FREE flour tortillas at Kroger last week I almost jumped for joy! They have no fat and only 89 calories per tortilla and they taste good! They aren’t the really small ones either, they are a good size. Here they are, go find them and enjoy!! 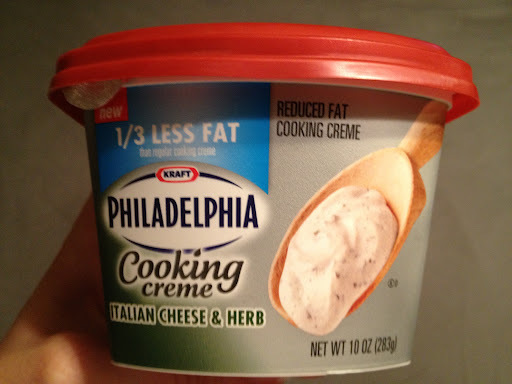 The 2nd item is the Philadelphia Cooking Creme. I already liked this product for quick dinners (add chicken, frozen/fresh veggies, bell peppers and bowtie pasta) and dinner is done! I’ve been saying to myself that I sure wish they would make a lower fat version of it and finally they heard me! Here it is, I’m trying it out tonight for dinner. 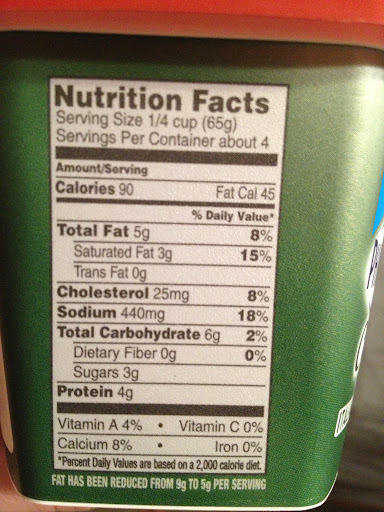 Fat was reduced from 9g to 5g per serving. Do you have any favorite go-to items you use for meals?